One of my favorite restaurants is the Cheesecake Factory. 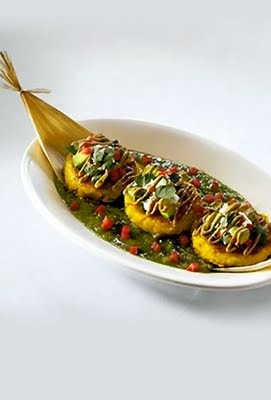 My favorite dish there is the sweet Tamale cakes. I made Paula Dean's Corn Casserole recipe as an accompaniment to brisket and it was like de ja vu all over again. The flavor and consistency are an excellent replica of corn cakes. So top this with a little sour cream and pico de gallo. This would go great with tacos or fajitas instead of the traditional beans and rice. Unlike Cheesecake Factory this is cooked in one pan. So you need to spoon it out on your plate. Sorry about the misleading picture. I bet you could make it look like this if you really tried.